We offer you the unique opportunity in Berlin to get on and off as often as you like on our ships. Discover Berlin from a completely different perspective! 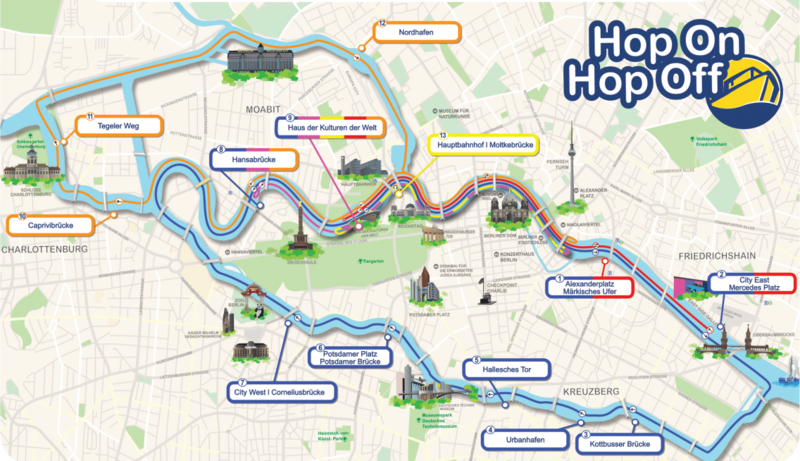 Whether on a first voyage of discovery or as an old hand, you will get to know the capital in a completely new way on a large stand tour aboard one of our numerous Hop On – Hop Off boats.